wondering if the FT explorer would be good for first timers. does it fly slow and ez? looking to get into the hobbie but fly slow. also making an EZFLY model too which is apparantly slow as well. and by watching the videos the Explorer is still a beginner plane but might be slightly faster. I got back into the hobby with the Mini Scout. It's a nice little floater but I think it would be harder to fly indoors that the first 3 planes I listed. Scratch building the old fogey to get my building and flying skill back up. These are just my personal observations and based only on videos I've watched. I think the mini's would not be a good place to start since you haven't flown before. There are more qualified people on this forum who have built all of these planes. Build one and find out , it’s supposed to be pretty good for a lazy slow flyer with the polyhedral wing, but a nice sport plane with the 4-channel. Just be sure to reinforce the wing with a nice wood spar, I wouldn’t want you to get discouraged from a folded wing . I don't think I would fly the Explorer on 2s and it's a bit heavy for a first plane. It has a fairly high stall speed and not a great glide slope, and potential to induce some bad flight characteristics in the build if you don't build everything square. You want something that doesn't need a bunch of trimming for the first flight. As mentioned it's also easy to fold up the wing on the Explorer with aggressive or accidentally aggressive maneuvers that happen when a beginner stalls a plane. Simple Scout, Simple Cub and Simple Storch are all probably better choices than the Explorer for a trainer. 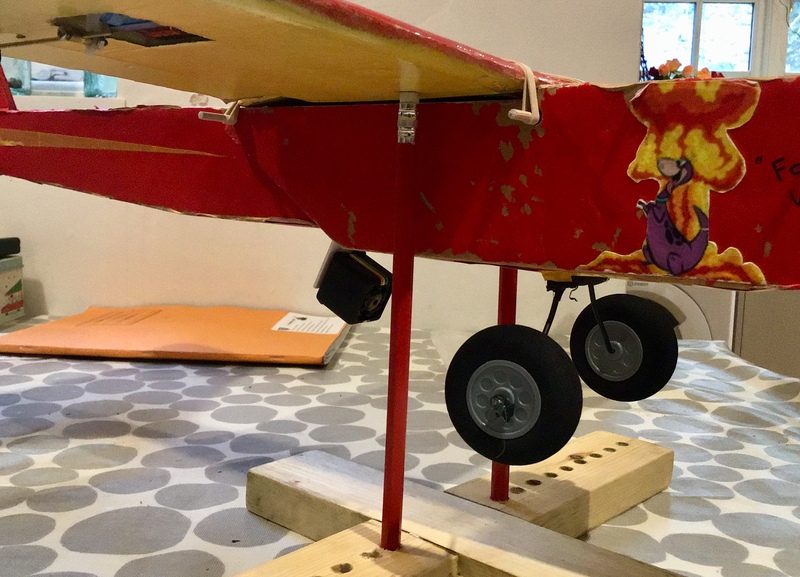 I did build the simple scout as my first plane but unfortunetly I built it out of Michael's foamboard Elmers and it was too dense and heavy that I couldn't balance the plane. I think I will rebuild it with the proper dollerama foamboard - Adams Rediboard and it should fly just fine on my 2s 1500. Eitherway I still should get 3s batteries I know. Mine is a hot rod on a B pack and can do tumbles. I personally would not recommend for a beginner to use the sport wing! @P-loco85 I highly recommend the Tiny Trainer as a first plane. It's easy to fly and repair it will also fly really nice and slow with a 2S battery. I used to fly mine on a 2S and that's how I learned to fly. how about converting it to a TT Pusher plane? i've broken a few props and wondering if converting to a pusher would be better? or if I go with the tiny trainer as you suggested which power system should I use? 2212 1000kv? It's also worth noting that the Explorer will NOT fit a 10in prop when built as FT designed it. The largest prop you can fit is a 9in. If you are breaking TT props first you are landing too fast and second try adding undercarriage. My TT is still on its original prop. I broke a lot of firewalls and power pods instead. You want the lightest foamboard possible and I run an 1806 2400kv motor from Hobbyking with a 6x4 prop and small (850mah or less) 2s batteries. Ideally buy the speedbuild kit, it saves time and hassle, plus it builds light. Mount the servos further back by an inch or so from the recommended spot to help balance it, it can be nose heavy. Watch the amount of glue you use. i notice you have the sq camera, how is it? I wanted to buy one and put on my TT or simple scout. good footage? also, since you recommended the 1806 (which i will buy now) would this be for the TT or the mini TT? There is only one Tiny Trainer, it's full name is the Mighty Mini Tiny Trainer. awh ok just looked back and you are 100 correct. I didnt see that. Thanks for clarifying. No problem, I can understand your confusion though because everyone in the FT community just calls it the "Tiny Trainer" even though it's classified as a 'Mighty Mini'. @P-loco85 I have seen a Tiny Trainer pusher or a similar model but can't remember where. Maybe @Hai-Lee can help us out, he is a great source of knowledge. I still break a lot of props, I seem to live with it some how. I could recommend you check into a prop saver, ppl here seem to use them and are happy with the results, must mention that I have never tried them myself. I am not familar with the motor you mentioned but if you do get the MT1806 2280kV motor equvailnt to the A pack motor it nice to fly it with a 6x4.5 prop and a 2S 1000mah battery. Fly's really nice and slow but can still go fast if you throttle it up. I recently changed the motor I use on my TT to an F pack motor, for a faster flier. I must mention that if you use a 2S 1000mah bat you will need to keep the build as close to the original weight as possible otherwise it will be harder to fly. @P-loco85 There are a number of different mods you can do to the Tiny Trainer including some that make it very very different in handling. As for breaking props you could see about using a prop saver! There are a few types that can be retro fitted to a standard motor and they use an "O" ring to secure the prop to the motor. During a crash, as the prop is bent backwards the "O" ring stretches until the "O" ring either breaks or flies off, which removes the prop from the motor before it breaks. You could also find a folding prop with spinner to suit your current motor. @Hai-Lee thanks for the assist. EDIT: you are also right about not including everything in that thread I’ll update it with a link to the SpiTTT now.